We firmly believe and fully support a parent’s right to choose to home-educate their child or children. Electing to Home Educate is a bold step for any family, it is a decision not taken lightly or without good cause. Over time through what is even today a constantly evolving process, we have adapted the mainstream approach to education in order to offer a solution to a broad cross-section of parents who have alternative views on how education should be delivered. This cross-section is effectively our ‘customer base’ and is made up of a mix of parents from the Elective Home Education community, through to those parents who have become dissatisfied with the approach of their local school and or local authority. Availability: this implies that good quality education must be made available to all by eliminating all barriers, be they financial, physical, or institutional / systemic. Accessibility: the ‘available’ education must also be made accessible to all, by eliminating all forms of discrimination and through installing flexible modes of education, particularly for the most vulnerable and marginalised who otherwise may not be reached by conventional modes. Acceptability: it is not enough that learning opportunities are accessible; they must also be acceptable in terms of quality and relevance to the learners’ experiences and environment, and respectful of their circumstances and culture if learners are to truly benefit from education. This means ensuring that education meets the minimum standards set by governments, including the medium of instruction, curriculum and teaching methods. Adaptability: finally, education programmes must be adaptable to the various needs of the learners rather than expecting learners to fit in with a prescribed syllabus, uniform pedagogical style or system. This is particularly important when dealing with marginalised and vulnerable children. Here at Hollinsclough we have many conversations with Parents, Headteachers, Local Authorities, the DfE and others with regard to what is Flexi-schooling; so much so that we have decided that it is time to develop what we are going to term the Flexi-Schooling Federation – this will be open to all to join for a membership fee per year. Primarily this federation will be aimed at the range small education establishments (schools, academies, free schools) and interested professional bodies. Membership will offer access to the evolving policy and practice in our sector and provide strength in numbers when challenges arise. To learn more visit our new website in support of what we hope to offer www.flexischoolfederation.co.uk or contact us via email by clicking here. Our most recent inpsection took place in July 2018 and represents the first inspection since we converted to an Academy (01/09/2015). To review the report in full please click here. Flexi-schooling is a term used for an arrangement whereby a child is partly educated at school and partly home educated. ‘The Department’s view is if parents choose not to have their child educated by full-time attendance at school, they are responsible for the whole of their child’s education, not schools ……….. There is no legal requirement on a school to agree to a Flexi-schooling arrangement. In agreeing to such an arrangement, the school is accepting that the child will sometimes miss school’. At present children who are using the Flexi-Schooled approach at our academy, are required to attend for what we call the three ‘Core Days’ of Tuesday, Wednesday and Thursday. The three core day option is the minimum requirement with a substantial number attending for a full week by choice. We have in place a Memorandum of Understanding that clearly sets out our expectations of stakeholders. Our Flexi-School parents mostly come from well outside our normal catchment area, distances of 20 to 40 miles are not uncommon and from this it is clear the level dedication these parents have to child or children’s educational development in this way. We have developed close links with a number of local authorities, along with the Elective Home Education facilitator Education Otherwise. Additional information is also available from Home Education UK especially their legal section which helps to clarify the 1996 Education Act for parents who are considering the Elective Home Education choice. 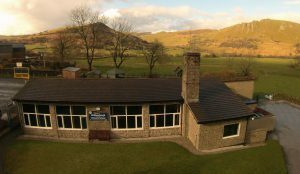 Our approach has been subject to several Ofsted and SIAMS inspections and has been graded ‘Good at worst, to ‘Good with Outstanding Features at best. Our provision has been acknowledged by Lord Nash – (then Parliamentary under Secretary of State for Schools), as being an ‘innovative approach to learning’. Here at Hollinsclough Academy we can tailor our support to suit your needs and work with you to facilitate the desire to combine Home Education and mainstream schooling in a manner that benefits your children. 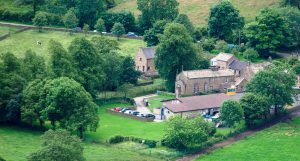 “I was interested to read how Hollinsclough School has been able to increase pupil numbers, especially in a rural setting. “This school is developing an innovative approach to education which could well be a model for small schools in rural areas to achieve longer term sustainability. I am delighted that Hollinsclough is achieving pre-eminence in this field. The outcomes of the project offered a possible means to shape education delivery in the future. ‘Flexi-schooling’ or ‘flexible school attendance’ is an arrangement between the parent and the school where the child is registered at school in the normal way but where the child attends the school only part time; the rest of the time the child is home-educated (effectively on authorised absence from school). Flexi-schooling is a legal option provided that the headteacher at the school concerned agrees to the arrangement. Home schooling is a long-standing option that is open to parents who, for example, take the view that their children are not always best served by entering full-time, statutory education at the age of five. Some parents prefer to educate their children full time at home while others seek varying periods of part-time schooling, irrespective of their child’s age. The purpose of this report is not to argue for or against home schooling but to describe the provision and practice of a small school where an approach to ‘flexi-schooling’ is widely acknowledged as successfully meeting parents’ wishes and children’s educational needs. Its innovative flexi-school approach enables a mix of parent-led educational activities to blend with school-based educational activities. The report does not provide a blueprint for others to follow; it is simply a story of one school’s approach to flexi-schooling and the benefits to children and parents that have stemmed from it. The hope is that this will be a helpful narrative which sets out some of the issues for parents, Headteachers, governors and local authorities to consider, should they wish to offer the option of flexi-schooling in like circumstances. For more background information and understanding of our approach to Flexi-schooling select from a link below.